"Diamond Comics Gift Pack Gift pack of all Famous characters of Diamond Comics Rs. 1000. 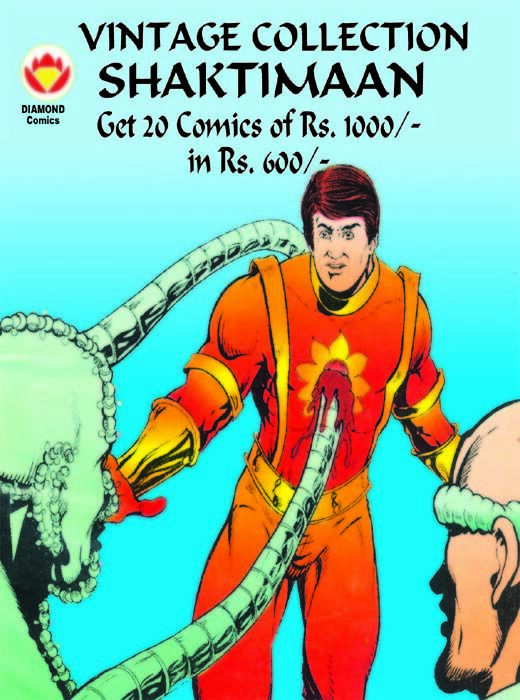 Consisting :10 copies of Double Digest of Rs 100/- OR 20 copies of Single Digest of Rs 50"
Shaktimaan: Every young boy's dream idol, every young boy's inspiration, yes that is what is Shaktimaan, lover of truth and an enemy of all evil. His birth has been to wipe off all evil from this earth. Filled with yogic powers and a tower of strength and energy, he is a friend of society and especially weaker section of society. 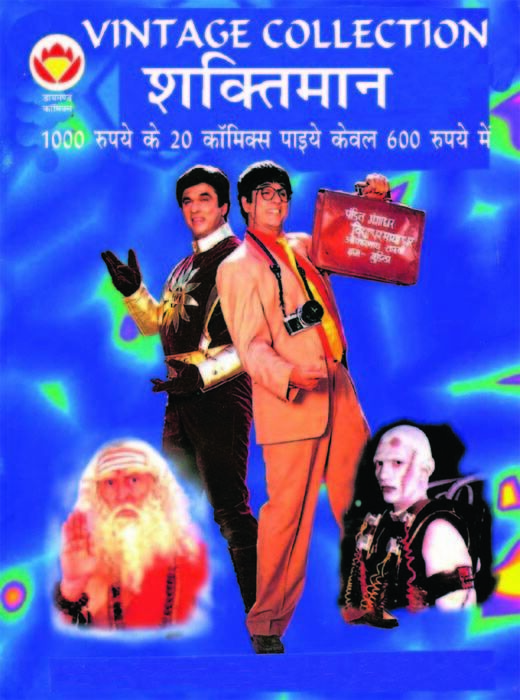 Children will fall in love with Shaktimaan. A Vintage collection of 20 comics in color.